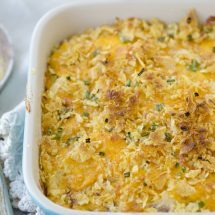 Potatoes are a staple at Thanksgiving and Christmas dinners and this Twice Baked Potato Casserole with Potato Chip Crust is definitely a winner. 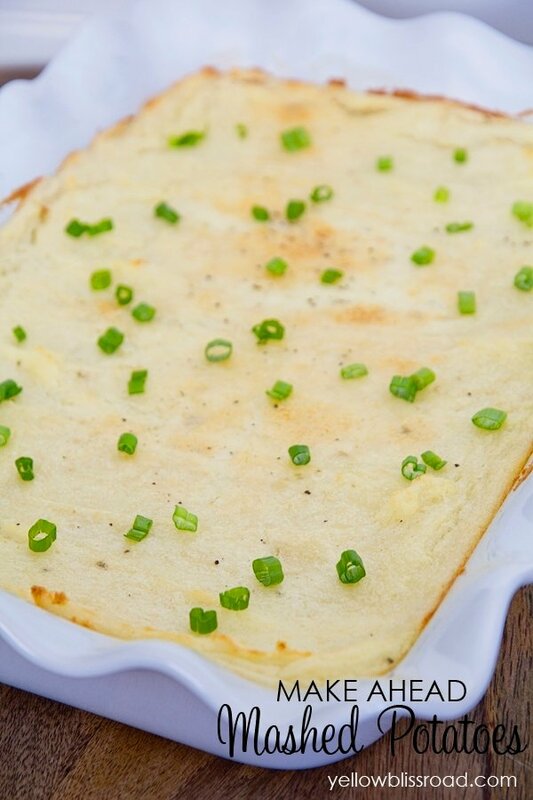 The potatoes are creamy and smooth and packed with flavor and the potato chips topping provides a nice crunchy finish. Everyone will be begging for the recipe! My mom’s twice baked potatoes have been a staple at holiday family get togethers for as long as I can remember. We love them, although we always thought there should be more cheese. I mean, you can’t go wrong with more cheese, am I right? Twice Baked Potatoes aren’t super complicated, but they can be a little time consuming when you have to carefully scrape out the potato flesh, preserving the skins, and then filling them all again. Putting this recipe into casserole form clearly was the best decision I ever made. It’s all the flavor and half the work. Sounds like the perfect recipe to me. Use a dish towel to handle potatoes, slice in half and scoop the flesh out into a stand mixer (or large bowl). Salt the potatoes and stir with the whisk attachment to break up large pieces and evenly salt potatoes. Add milk, sour cream, butter, garlic powder, bacon (reserve a tablespoon for topping), green onions(reserve a tablespoon of greens for topping) and 1 1/4 cup of cheddar cheese. Stir with whisk attachment for 30 seconds just to combine ingredients. Do not over mix or potatoes will become starchy, like glue. Spoon mixture into an 8" or 9" baking dish. Top with remaining cheddar cheese, potato chips, and reserved bacon and chives. Bake in preheated 400 degree oven for about 10 minutes or until cheese is completely melted and potatoes are heated through. Turn the broiler to high and broil the top for about 2-3 minutes to brown the potato chip. Watch closely as they can burn quickly. *This recipe can be prepared the night before and refrigerated. Cooking time will be longer, about 30-40 minutes or until potatoes are warmed through. 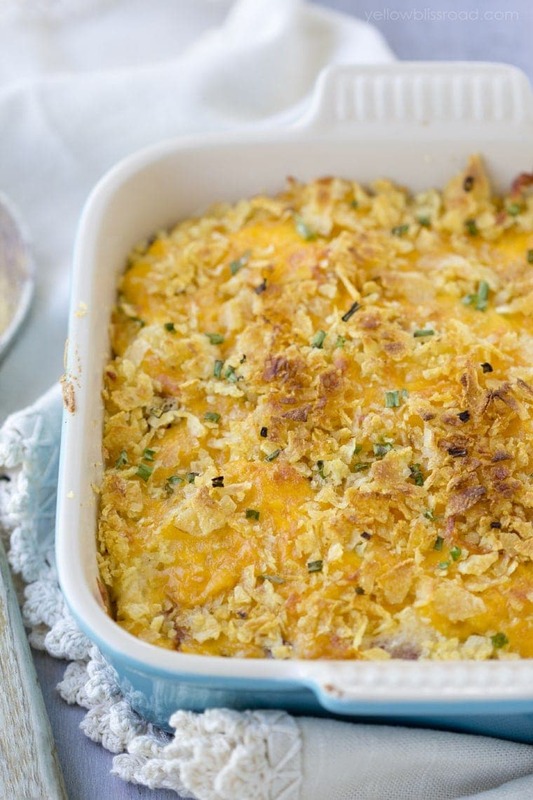 how many does the loaded twice baked potato casserole with potato chip crust feed? This recipe will provide roughly 6-8 servings. Yummm! I can almost hear the calories calling to me. That’s okay, it will make a nice holiday splurge.